A proposal for a graded system of sanctions for organisations deemed non-compliant with the World Anti-Doping Agency (WADA) will be considered at the Foundation Board meeting in Glasgow on Sunday, November 20. A two-day meeting of Government representatives began today in London to formulate their responses ahead of a session considered a vital step in plans to reform the global anti-doping body. A system consisting of three differing levels of offences will be considered. This will begin with low level administrative problems relating to procedural issues threatening compliance with the World Anti-Doping Code. A second medium level will consist of more serious problems with anti-doping procedures such as testing or educational schemes. The most serious faults such as the Government interference and direct manipulation of the system seen alleged in Russia in recent years make up the third group. Sanctions will rise from warnings to escalating fines to, in the most serious cases, a suspension of athletes’ eligibility to compete in a specific event. This marks a departure from the current system in which WADA can make recommendations but has no specific sanctioning power. The idea is likely to be met with hostility in the Olympic Movement after it was specifically criticized here during yesterday’s Association of National Olympic Committees (ANOC) General Assembly. 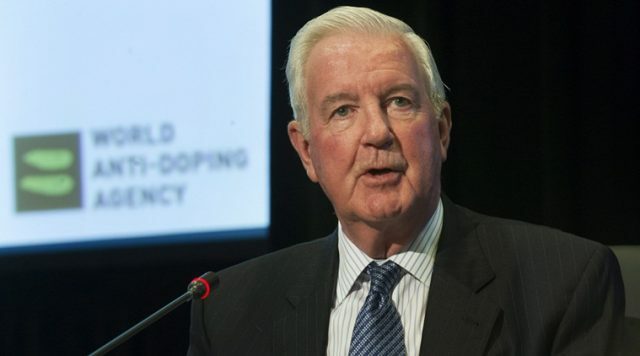 WADA President Sir Craig Reedie came under attack from ANOC President Sheikh Ahmad Al-Fahad Al-Sabah for the timing of its decision to suspend the accreditation of the Doha Laboratory on the eve of the meeting beginning here on Tuesday, November 15. Their proposal for a blanket ban preventing Russian athletes from competing at Rio 2016 following publication of the McLaren Report, alleging state-sponsored doping in the country, was also criticized. Sir Craig received a barrage of criticism from delegates before a resolution was passed calling for a “neutral” WADA President. “What is the objective of WADA?” Spanish Olympic Committee Alejandro Blanco asked. WADA’s Foundation Board is currently represented by figures from sporting bodies and governing authorities on a 50-50 basis. The views of the latter group formulated during the London meeting will be crucial. “It is vital that Governments, the Olympic and Paralympic movements, International Sport Federations, coaches and athletes work closely together to unequivocally reaffirm the uncompromising principles of clean sport and support WADA as a central agent in dealing with the complex doping issues in the dynamic and challenging environment we all live in,” Canadian Minister of Sport and Persons with Disabilities Carla Qualtrough wrote in a Huffington Post editorial today. Key priorities she highlighted included “improving WADA’s capacity to conduct and follow up on investigations”, “providing policy support to encourage, protect, and engage whistleblowers”, “strengthening the agency’s governance” and “increasing power and funding”. “Implementing a more rigorous monitoring process for WADA accredited laboratories and stronger requirements for them to operate autonomously” was also cited by Qualtrough, along with making improvements to security systems in order to protect information. The Foundation Board meeting will take place at the Scottish Exhibition and Conference Center in Glasgow on Sunday. It will be fully open to the media and public to attend.